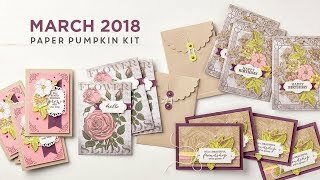 Discounted Starter Kit It’s a bit of a secret, but the Starter Kit is the best deal in the entire catalog with more than $425 worth of stamping products and supplies for only $215 During Sale-A-Bration, the Starter Kit is an even more amazing deal since it is on sale for only $150. Plus, you get a bonus gift each month when you place a demonstrator order! Since you don’t want to miss out on a single month of free Designer Series Paper or Digital Downloads, you can sign up online right now! It’s the fastest and most convenient way to get started! Whether you sign up online or by traditional mail, you can customize your Starter Kit so you can receive the products you love most! You can substitute the stamp sets, card stock, and ink colours, for like products so that you get your kit your way! 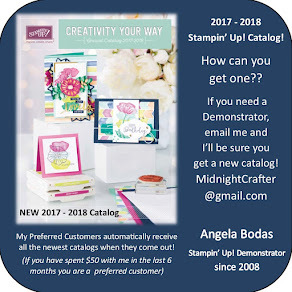 Does the idea of joining Stampin’ Up! sound interesting, but you are afraid of a big commitment? There aren’t any big scary commitments. Once you purchase the Starter Kit, it is yours, end of story. When you sign up during Sale-A-Bration, you have until June to make your minimums in order to remain active, or you go inactive. That’s it. Nothing scary, and no penalties or sales requirements to keep your kit. You choose how to make Stampin’ Up! fit you, your way. You can remain an active demonstrator by placing the minimum order each quarter, build a business to support large or small goals, or go inactive if you choose. Whatever you choose, you don’t lose anything because you started out with such a great deal on the Starter Kit, plus you’ll get your extra free products each month in addition to access to all of the great Stampin’ Up! demonstrator resources.